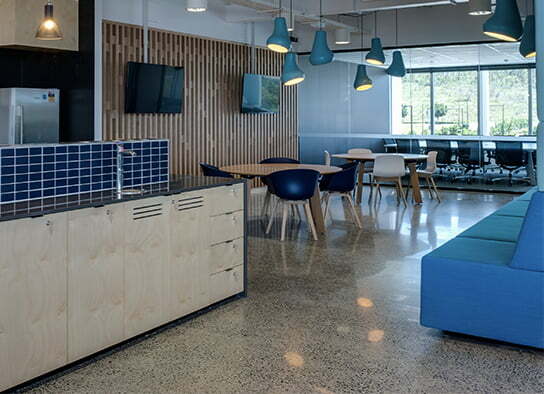 Many offices are making the switch from carpet and vinyl flooring to a polished concrete solution. 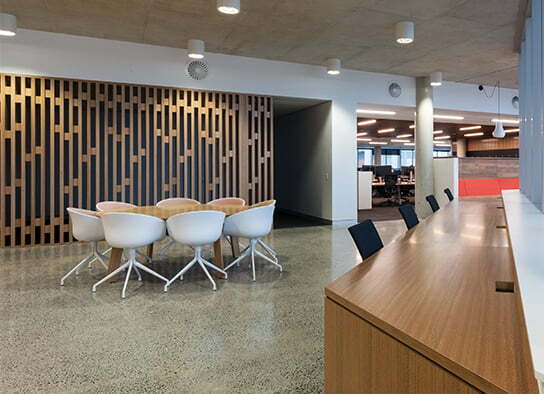 Concrete flooring in a commercial office environment is a great option and has numerous benefits including durability, maintenance, spill resistance, and is completely customisable with a variety of finishes. Not only is concrete flooring functional and aesthetically pleasing in an office environment, it offers a high sheen finish becoming a great reflective surface for overhead lighting. Office workers are able to move around on swivel chairs, reducing the huge amount of ware and tare on traditional carpet solutions. 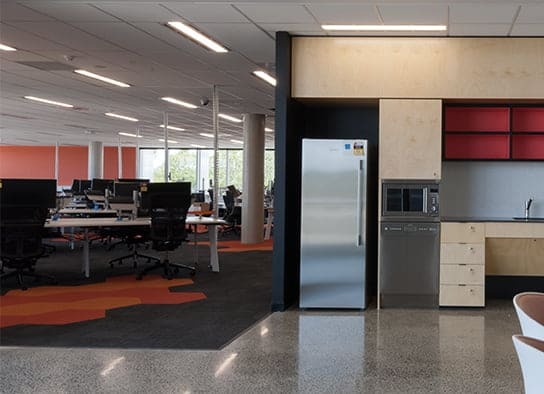 The team at McGinn Concrete is highly skilled in delivering commercial concrete solutions to office spaces and has worked on a number of large projects including the GE headquarters Springfield development. Give us a call to discuss how we can offer a complete concreting solution for your office space.